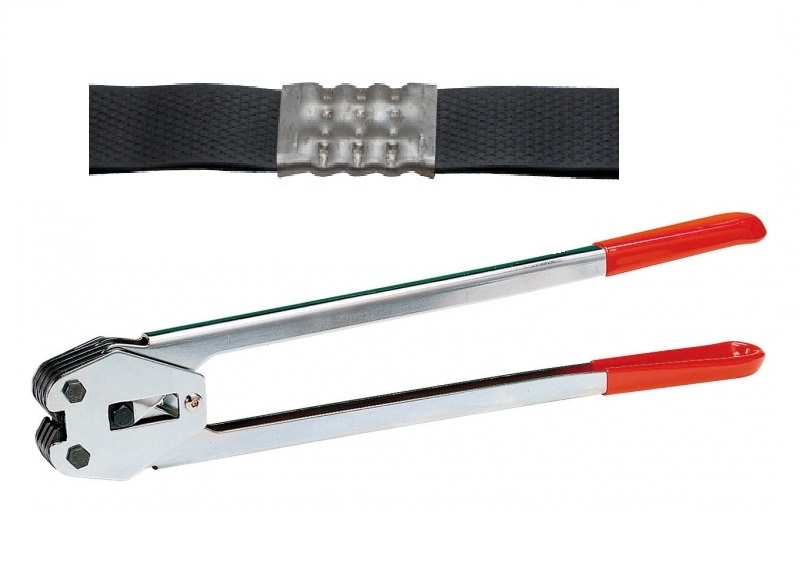 Hand operated manual crimper, designed to crimp 12mm UP12 or MS12 metal seals onto 12mm PP (Plastic) strapping. Used in conjunction with P119 or B330 tensioner. Recommended for low to medium volume applications.